Welcome to the September 11, 2017 edition of ACM TechNews, providing timely information for IT professionals three times a week. Researchers at the University of Iowa, working with colleagues at Facebook and in Pakistan, have documented a network of more than 50 websites that let users automatically create millions of false "likes" and comments on Facebook. They found these spammer-run "collusion networks" have tapped into 1 million Facebook accounts to generate up to 100 million bogus "likes" between 2015 and 2016. The team also found this strategy is accelerating because scammers are exploiting a loophole in the code Facebook uses to permit third-party applications to access a user's account, automating a formerly manual task. The scammers make money by posting ads on their sites and by promoting "premium" services that enable users to get even more "likes" than they permit their regular users. Some sites also let users generate fake comments that can be added to the preferred post. The research will be presented in November at the ACM Internet Measurement Conference (IMC 2017) in London. Researchers at the University of Waterloo in Canada have developed algorithms that can accurately determine when drivers are texting or engaged in other distracting activities. The system uses cameras and artificial intelligence (AI) to detect hand movements that are not associated with normal driving behavior and classify them in terms of possible safety threats. The researchers say the system could be used to improve road safety by warning or alerting drivers when they are dangerously distracted. In addition, as advanced self-driving systems become more common, signs of serious driver distraction could be used to trigger protective measures. "The car could actually take over driving if there was imminent danger, even for a short while, in order to avoid crashes," says the University of Waterloo's Fakhri Karray. The algorithms were trained using machine-learning techniques to recognize actions such as texting, talking on a cellphone, or reaching into the backseat to retrieve something. Scientists and musicians at the University of Sussex in the U.K. have developed Syncphonia, a new application that enables a music teacher or conductor to deconstruct a piece of music into its component parts so notes and tempo for each player's instrument is displayed on an individual tablet and highlighted bar by bar. The researchers say Syncphonia could potentially transform musical instruction by enabling each player to keep time with the rest of the orchestra without getting distracted. "The app successfully removed barriers to learning, like getting lost, or getting out of time with the other players, while not 'deskilling' them--they still had to read the music," says Sussex professor Ed Hughes. 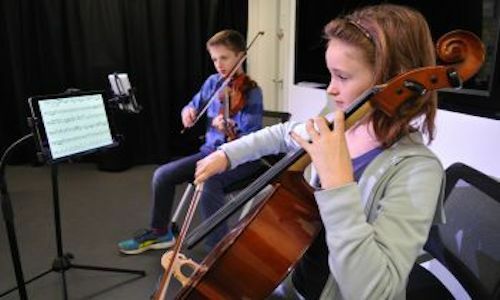 "This resulted in fewer children becoming discouraged and leaving the group than their teacher had previously experienced, and allowed the group to progress more quickly, learn more complex pieces, and produce a better quality sound than without the app." Three computer scientists at Cornell University have developed an algorithm to determine whether questions asked of female tennis players after the U.S. Open reflect a broad pattern of gender bias. To make this determination, the researchers trained the algorithm on both post-game and in-game commentator language so it could ascertain tennis-related vocabulary. The algorithm is capable of then deducing "tennis-relatedness" by analyzing how a question's words and linguistic structures in post-game dialogue differ from those used during in-game commentary. The algorithm processed the language in tens of thousands of questions spanning thousands of matches over a 15-year period. Across all analyzed categories and questions, the algorithm demonstrated that female players were much more likely to be queried on non-tennis-related subjects. The exclusion of standard or rote questions revealed that female players received about 70 percent of unrelated questions, a disproportionate amount compared to questions asked of their male counterparts. Researchers at Cornell University's Human Computation Institute have developed Stall Catchers, an online computer game that players are using to analyze movies of blood flow to the brain as part of Alzheimer's disease research. Several thousand gamers recently analyzed about 40,000 such movies, vying for points by spotting clogged blood vessels. The Stall Catchers project is part of the EyesOnAlz crowdsourcing initiative, which is led by Pietro Michelucci, who says crowdsourcing was ideally suited to blood vessel image analysis because computer performance on the same task was poor. Michelucci also notes school-age children and senior citizens comprise the majority of Stall Catcher players. "We designed the game so that even early-stage Alzheimer's patients can contribute directly to their own potential treatment," Michelucci says. Stall Catchers' first crowdsourced results detail the distribution of clogged blood vessels in mice that have been genetically engineered to model human Alzheimer's disease. Researchers at the University of St. Andrews in the U.K. have developed SpeCam, a technology enabling smartphones to perform tasks by recognizing the surface they are sitting on. The team says SpeCam would let existing phones utilize the camera function to recognize different materials they have been exposed to, and this information would link with a previously created database so the phone could know what kind of surface it has been placed on. In addition, the program would enable a phone to perform certain tasks based on the way in which it is being held, such as changing the volume on a TV. Since the required hardware already exists in smartphones, the SpeCam system could be enabled through a software update or application download, according to the researchers. The system was to be presented last week at the ACM International Conference on Human-Computer Interaction with Mobile Devices and Services (MobileHCI 2017) in Vienna, Austria. The Massachusetts Institute of Technology (MIT) this fall will offer a joint major in computer science and economics, reflecting the convergence of the two fields so students can learn to design tomorrow's virtual marketplaces. 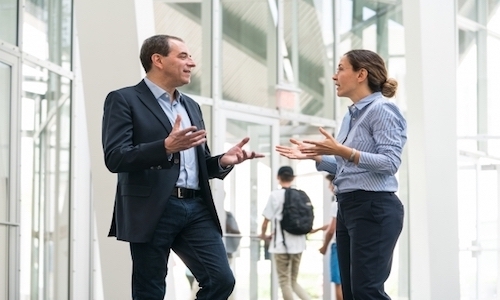 MIT professor David Autor says, "companies are really looking for this skill set" due to a demand for analysts who can decide which goals to maximize, and what information and choices to offer. MIT professor Asu Ozdaglar thinks student interest in the joint major is motivated by the combined sciences' requirements that complex human questions be asked, and equally complex technical models be developed to answer those questions. MIT professor Costis Daskalakis says computer science and economics are complementary disciplines, given that machine learning and similar methods can clarify patterns in data stemming from a social platform, while economics can help explain why such patterns arise by offering theories of how people strategized for these patterns to emerge. Researchers at Cambridge University in the U.K., India's National Institute of Technology, and the Indian Institute of Science have demonstrated that artificial intelligence systems could potentially be used to identify people who try to conceal their identities by wearing hats, sunglasses, or scarves over their faces. The researchers used a deep-learning algorithm to find 14 specific points on a person's face and analyze the distance between them. The points mainly focus around the eyes, but also include the tip of the nose and the corners of the mouth. The researchers tasked the algorithm with comparing a face concealed with a hat or scarf against photos of five people, and found the system correctly identified the person 56 percent of the time If the face also was wearing glasses, the identification rate fell to 43 percent. 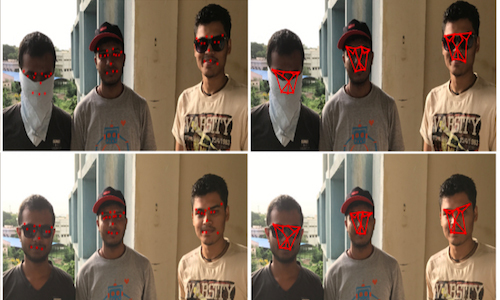 The team also released two datasets of disguised and undisguised faces for other researchers to test and improve the technology. The Citadel recently received a $2.4-million grant from the U.S. National Science Foundation to study new ways of teaching computer science in North and South Carolina. The Citadel will partner with North Carolina State University to teach 360 educators over the next few years, with the goal of determining if teachers learn computer programming concepts more quickly if they study as a group. The study will recruit teachers from across the Carolinas, asking them to organize teams at their schools to establish a support system when they return from the program. "We're comparing that model of professional development that's always been done to asking teachers to form a team within their school and asking that that team be interdisciplinary," says The Citadel's Jennifer Albert. The researchers expect to begin recruiting middle- and high-school teachers this month for two summer workshops, one traditional and another group-oriented. Researchers at the University of Sydney in Australia are building next-generation quantum-engineered devices based on quasiparticles called Majorana fermions, whose existence was recently validated by the efforts of researchers at the Technical University Delft in the Netherlands. The Delft team proved that electrons on a one-dimensional semiconducting nanowire will possess a quantum spin opposite to its momentum in a finite magnetic field. "This information is consistent with previous reports observing Majorana fermions in these nanowires," says Maja Cassidy, a senior researcher at Microsoft's Station Q Sydney, based at the University of Sydney Nanoscience Hub. Quantum bits (qubits) that use Majorana fermions will have their information encoded via their geometry, or topology. The braiding of the Majoranas promises to encode quantum information in a manner that is highly resistant to interference. The University of Sydney team is working with Microsoft Station Q engineers to build the new devices, which are designed to function as the core of the first practical topological quantum computers. Researchers at Friedrich-Alexander University Erlangen-Nurnberg in Germany have discovered security problems in smart lighting systems developed by GE, IKEA, Phillips, and Osram. The team caused connected lighting systems to flash for several hours with a single radio command sent from a distance of more than 100 meters. 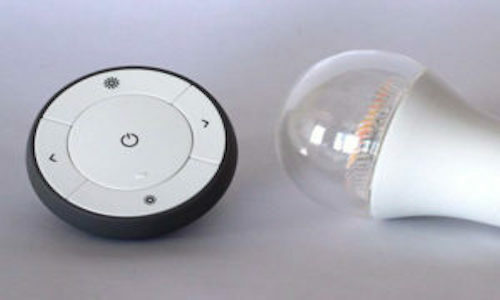 In addition, the researchers modified the bulbs using radio commands so the user was unable to control them, and in certain situations they were able to change the color or brightness of the light. The team discovered the security vulnerability in ZigBee, a wireless standard used in more than 100 million products around the world. The researchers showed the security features of touchlink commissioning are inadequate and leave the system vulnerable to attacks. The team recommends disabling touchlink commissioning in all future ZigBee products, and notes some manufacturers already have made an update available to customers that significantly reduces the risk of an attack. In an interview, Lily Chen, head of the Cryptographic Technology Group in the U.S. National Institute of Standards and Technology's (NIST) Computer Security Division, discusses the rapid pace of cryptography's evolution. 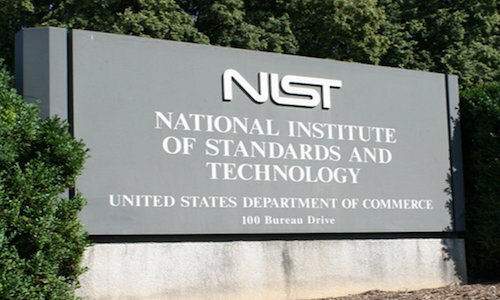 Chen says her team is primarily concerned with ensuring that "NIST cryptography standards reflect the state-of-art technologies for government applications." Chen cites quantum attack-resistant cryptographic algorithms as an area NIST is aggressively investigating. "For the protection of today's cyberspace, we need to develop a quantum-resistant counterpart to replace existing cryptosystems," she says. Among the research opportunities Chen sees as especially promising is the search for new mathematically hard problems from which to construct these new cryptosystems. "Even with quantum key distribution, mathematical algorithms are still needed to apply encryption," Chen notes. She also says deterring data breaches is more a matter of improving system security to keep systems vulnerability-proof than using more effective means of encryption.